Running with Zithers........: September donation to Playing for Change! September donation to Playing for Change! 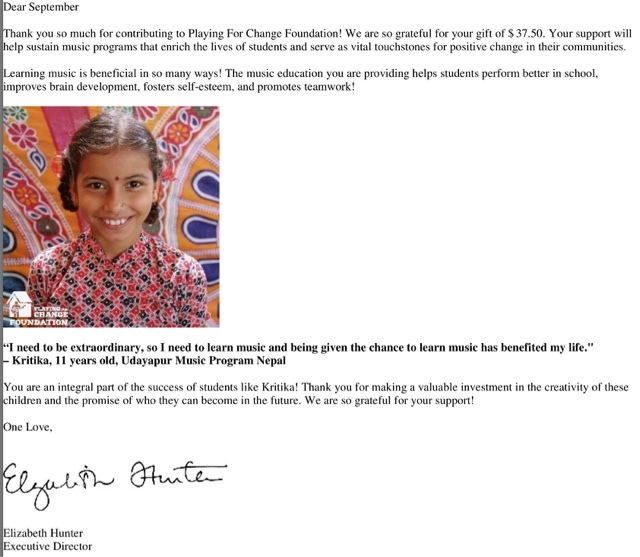 September's zither groups' contribution to Playing for Change came to AUS$52.50, amounting to a donation of US$ 37.50. I've made this donation on behalf of September Zither Group, hence the reply is addressed to September. Well done!